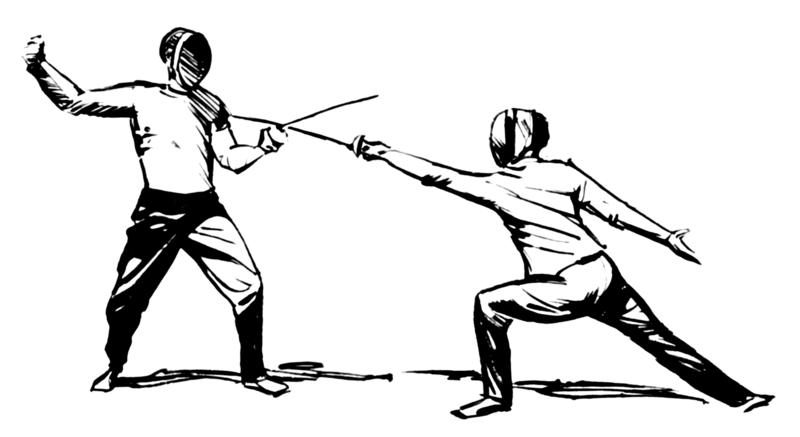 The Fencing Athlete Almanac page is an itemized summary highlighting some useful rules of thumb in fencing from my blog posts and kernels of truth offered by other high level fencers. The numeric order just refers to when it was added to the list. I encourage you to voice your opinions about what makes the list and discuss the validity of each in comments section. None of these points are absolute but I hope it can serve as a useful reference tool as it develops. Keep an eye on this section for updates moving forward! 3a. Anyone can lose to anyone in fencing. 5a. By conceptualizing your different game-plans from bout to bout in terms of your fencing game, you can better adjust your strategy in bout while still playing to your strengths and mitigating your weaknesses. #4 should be extended with: …commit to it ‘OR DECIDE NOT TO’. It’s a common mistake for a fencer to abandon a new idea of fencing too soon- before putting the work neeneeded to MAKE IT WORK. Nothing ‘new’ works right off the bat, and at the beginning a fencer would not be able to evaluate the pros and cons. It will look to them like it’s all cons and no pros. Only after they’ve learned the new style/way of fencing well, they’ll be fully able to evaluate and make the dicission. IMO. #1 is very interesting, I believe good technique doesn’t just enable, but also creates strategy. The more versatile your toolkit of techniques is , the more ideas will come to you. Hence your strategy will be enhanced. That covers physical movements and blade work. For example if your lunge is very short, you may never get a strategy that would include deep lunges because you wouldn’t even think of it. You wouldn’t even know deep attacks exist. In other words ‘deep-attack’ strategy will not even occur to you. This is very simplified, bit I hope you get what I’m trying to say. Now let’s say you enhance your lunge and make it much deeper. A whole new strategy (deep-attacking one) will be born. So a new footwork technique created a new strategy. Same goes for blade technique. Great suggestions, Vassil! Thanks for the input.